I went on a quick two and a half day business trip to California last week. The first in a while. I took what I call the “Flying Bus”, a.k.a. Southwest Airlines. For the uninitiated, Southwest has no assigned seating. You get a boarding position and you pick your seat, as you get on the plane. It’s euphemistically called “Open Seating”. It reminds me of a bus. You can tell, I’m not a fan of this arrangement. However, Southwest had the most convenient flight. And, at times, Southwest can have really good fares. In theory, at least in the beginning, the seating system was egalitarian. People who checked in quickest within 24 hours of the flight, got the best boarding positions. Things are more complex now, which factors frequent flyer status and a paid early boarding upgrade. Clicking check-in, seconds after the start of the 24 hour boarding period, is the game. Sort of a competition, like bidding on eBay, but only in reverse. Seconds matter to get those coveted “A” spots. This process didn’t particularly enthrall me, since it’s one more thing I had to remember, preflight. Inevitably, I would forget to check-in early, earning me a dreaded “C” position. I actually paid $30 extra this time, just for early boarding. Even so, I only got an unimpressive B2. Still, B2 was good enough to give me a pick of window or aisle, on the back half of the plane, and with adequate overhead carry-on space. Such is the game of optimized flying. I got a convenient aisle seat somewhere around row 15, as I recall. For a few seconds, I regretted the non-window decision as I noticed a glorious sunrise, two seats over. I quickly decided, that I had enough “sunrise at 25,000 feet” photos and made this picture instead. Back in the 70s, American had a service like that between NY and Boston, and between NY and DC. You picked up your ticket from a machine, like at the movies. It WAS like a bus, but it was extremely convenient and it was CHEAP. A lot of people work in two cities, and on the east coast, Boston-NY and NY-DC are tightly linked. They gave it up when there started to be terrorists and hostages et al, but it was a great service. And frankly, regular service on “standard” airplanes ain’t much better. I didn’t know that about American. I guess for those really short routes, it makes even more sense. Domestic U.S. plane service is really not great in general. But since most people shop for the lowest fares, this trend is inevitable. Southwest seems to be doing well. They keep on adding more cities. It is definitely a game, and your timing has to be pretty much perfect! When travelling on business this stresses my husband out as he doesn’t have any interest in the much avoided C seats. However, when we travel as a family we get priority boarding which makes the whole experience much more enjoyable. The other thing that you need to be aware of is if there are already passengers on board the plane. 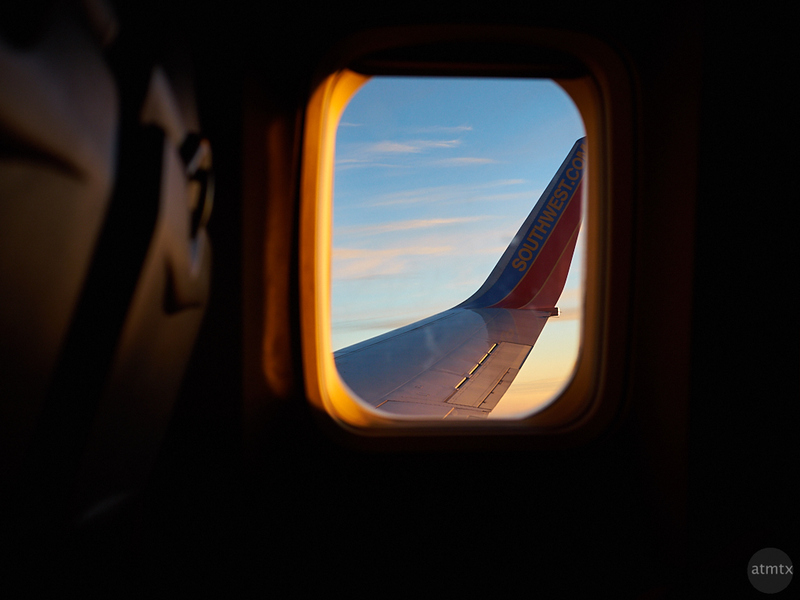 Southwest have many flights with stops along the way, and while B2 is normally a decent seat, it could end up being the middle seat if there are a lot of people still on the plane from the previous flight. Good to know about the people from the previous flight. In my case, I was lucky since, I’m assuming that it was the first flight of the day, or at least I hope so, since the flight was at 7am.